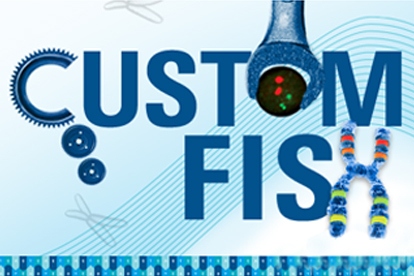 Agilent provides a comprehensive menu of FISH probes for rapid identification of a wide range of chromosomal aberrations across the genome. SureFISH's unique design methodology for specific targets provides excellent resolution with high sensitivity and specificity Probe localization to correct chromosome, demonstrated by hybridization images for every probe. Agilent's SureDesign custom web-based application allows customers to design their own microarrays, target enrichment libraries and FISH probes. You can try different designs without actually ordering the probes. Once the order is submitted, the design goes directly to Agilent's Oligo Synthesis pipeline and downstream FISH probe production. Since its launch in 2012, SureDesign has generated over 50,000 designs in over 100 countries. AlphaMetrix Biotech is an Agilent Technologies Sales Agent. Please click here and order direct at Agilent. Link from CytoGenomics software to the SureFISH website for streamlined order process. SureFish probes are Analyte Specific Reagents. Analytical and performance characteristics are not established. SureFish probes are produced in an ISO 13485-certified facility that is registered with the FDA as a medical device manufacturing establishment.